Valid photo identification: Passport, Social Security Card, Driver's Licence, National ID, School ID with Birth Certificate. Proof of Address: ( required if you do not have a valid Driver's licence) Most recent Utility Bill (no more than 4 months old) -- DOMLEC, DOWASCO, DIGICEL PLAY, MARPIN, LIME -- with your full name and current address or a Recent Bank Statement with your full name and address. Contact a Branch, if you do not have a bill or bank statement with your name and address. 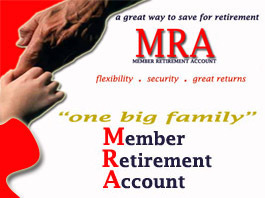 A minimum of EC$80.00 to cover the cost of new member account fees, the minimum $5 deposit,one Member Share at $50. Notes: (i) More than one Share can be purchased. (ii) A Share needs to be purchased for each beneficary you name to your account. Written consent from your current credit union. Click on tab below for details. CONGRATULATIONS. You are now on your way to being a member and part owner of the largest credit union in the OECS. To view a SAMPLE Membership Application form click here! You can still join NCCU if you are a member of another credit union but wish to benefit from NCCU's wide range of quality and modern services. But first, you must disclose to the credit union your intention to seek membership in NCCU in keeping with Section 26 (8) of the new Co-operatives Society Act No. 2 of 2011. The Act stipulates that "A person who is a member of a credit union shall not apply for membership of another credit union unless his or her application is accompanied by the written consent of the credit union of which he or she is already a member ..."
NCCU welcomes you into its family of depositors. Ask a parent or guardian to open a Young Savers Account in your name. This person will serve as the trustee to the account until you turn 18. To complete a Membership Application form click here! a completed W-9 IRS Tax Form if you are a US citizen or resident. Note: Purchase a minimum of two (2) shares to name two or more beneficiaries to your account. Money to open the account can be sent by bank draft, international money order or personal check.Click here to see ways to transfer funds to Dominica. Please inform us promptly of changes in address, marital status and beneficiary. Whenever there is a change in your life, please let us know. At NCCU, We give business a head start! We support members already in business, members wishing to get into business and registered co-operatives. If you’re expanding or starting your business, talk to us about a productive loan. Make the most of a business opportunity—we’re here to help. And we know that it’s no small job operating a business. That’s why we provide a wide range of financial products and services to help you manage your business such as deposit and chequing accounts and a night deposit service.